Recently, it has become visible that Marula oil is, without doubt, pushing itself forward on plant, beautifying oils market. If this tendency keeps increasing, then it will become highly possible that the place of Argan oil will be given up to Marula oil. Considered by many as having better hydrating action and more pleasant aroma, marula oil is most often used as an alternative to Argan oil (both oils have fairly similar composition). But what should be known about Marula oil? Where does it come form? Nuts of wild-growing Marula tree (Africa) are collected and smashed to undergo cold pressing process. It is just another African natural oil, which is used for treating whole body. Fun Fact: Tribes living in South Africa tend to call Marula tree ‘Elephant Tree’ because these animals find Marula nuts tasty. The fanny part is that the seeds ferment in stomachs of these big, grey fellows and result in putting elephants into drunken state. Marula oil is a light plant oil of hydrating, nourishing and regenerating features. If applied regularly to skin and hair, it can help to diminish ageing signs, since it is able to improve condition of cells. What is more, Marula oil has anti-inflammatory, antibacterial and anti-oxygenating action. This natural specific is recommended for problematic skin type mainly because of its soothing working. What can be found in an oil’s composition? The greatest advantage of Marula oil is its high concentration of oleic acid, counted among Omega-9 acids. Despite this substance, Marula oil contains more unsaturated fatty acids, vitamin complex (i.e. A, C, E), flavonoids and antioxidants. 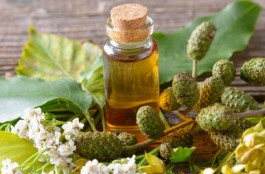 As mentioned before, Marula oil has similar action to Argan oil, however, this is not the only similarity that connects both oils. The physical characteristic are also comparable. Both oils are yellow in shades and have similar fragrance. The thing that differentiates these African oils is time devoted to absorption – Marula oil is faster. Whom is it recommended to? It must be stated right in the beginning that Marula oil is an universal care oil. However, it is recommended mostly to treat dry, irritated and problematic skin. Additionally, the oil is highly recommended to soothe high porosity, damaged, weakened and thin hair. 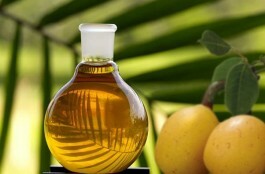 Furthermore, marula oil deals with such problems like psoriasis, eczema, dehydration and atopic dermatitis. Because of delicate action, the elderly and pregnant women can apply Marula oil freely. 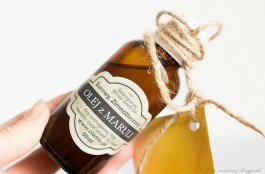 Marula oil is an universal plant oil which can be used for skin, hair and fingernail care. It is completely safe, therefore, it can be applied directly to skin or hair without the risk of irritations. 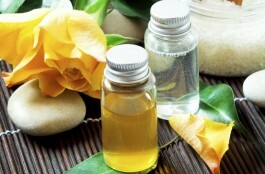 What is more, it can be used as a base ingredient for cosmetics as it can enrich commercial care products as well. To demonstrate, Marula oil might be added to hair masks, balms, creams, shampoos and colour cosmetics – for rubbing, massaging, washing and patting – it is simply a multitask natural oil. Best Hair Care Products With Marula Oil. You Must Try Them Out! Marula oil vs. Argan oil. Which one is better? Who can benefit from using marula oil? 6 caring features of marula oil. Do you know them all? Marula Oil Copyright © 2019.